Our urologists treat children, men and women in a wide range of subspecialties, from general urology to more specialized issues such as male and female incontinence, infertility, kidney stones, reconstructive surgery, robotic and laparoscopic surgery, and numerous cancer treatments. 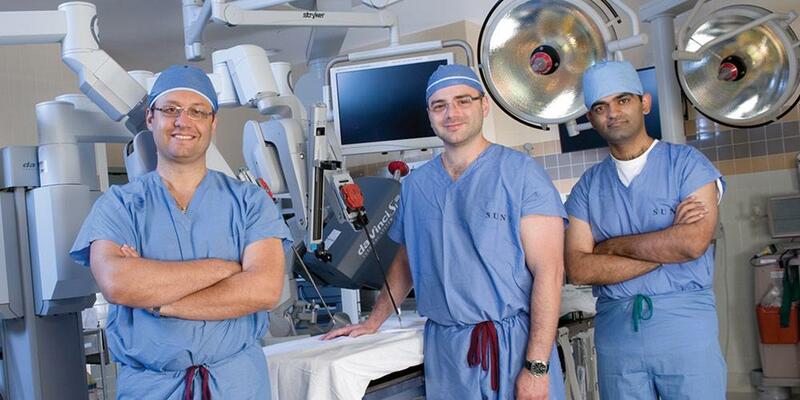 Upstate Urology offers fellowship-trained specialists in almost every urologic discipline. At Upstate's Urology Program, we understand how difficult it is for a patient to feel pain or discomfort – and the stress a patient may experience from not knowing the cause. The signs and symptoms of urologic issues can vary. If you or a loved one are experiencing any type of urologic issue, call us today. Last Modified: May 15, 2018. Contact Susan Schulze with questions about the content of this page.